Terminus enclosures help manage risk at locations that require a secure environment. Together, in partnership with our clients, we designed a solution that is unique and supports a very special need. Security threats have persisted and ecobins response was to provide a transparent enclosure that is attractive and robust. Our outdoor bins are ideal for offices, schools and public spaces. Ecobin’s range of outdoor products are made of durable materials that can withstand harsh outdoor elements and constantly changing conditions. 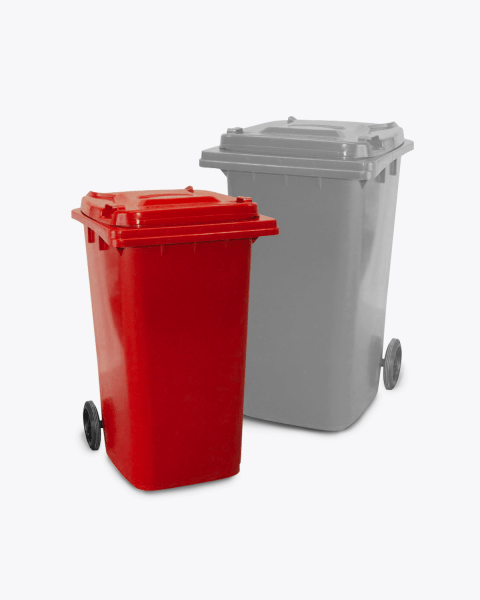 Our range of Wheelie Bins are available in a bold range of colours to suit all waste streams, or in black. Ecobin also offer a wide range of options for Wheelie Bin Enclosures to meet various style and design requirements. Our outdoor range of products also offer an array of composting products and a polycarbonate greenhouse. 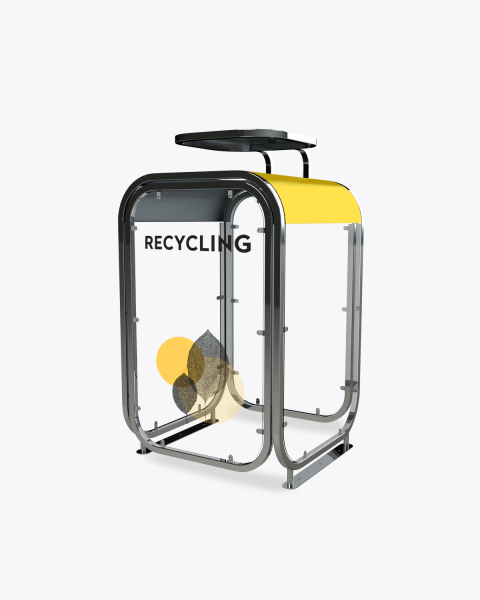 All of the outdoor product range is designed to keep you accountable with your recycling and office waste management. Did you know that 99% of the items we buy end up being thrown in the trash within six months, and that the average Australian produces 1.5 tonnes of waste per year?! With all the trash humans generate each year, it’s no surprise that the environment is suffering. However, there is an easy and effective way to address this issue: proper waste management. Our range of outdoor bins are the best tool to help divert unnecessary waste being sent to landfill by separating your waste and mixed recyclables at the time you throw it out. This is easy for your staff, students and clients to do whilst they are outside using our bold coloured waste separation bins. Mixed Recycling (Yellow), Landfill (Red), Organic (Green) and Paper (Blue). The outdoor bins come in a range of size and style options for your individual needs. These outdoor bins are made of high-quality and water-resistant materials designed to be durable and washable so that you can get as much use out of them as possible, plus they can be easily hosed out when it is time for a clean. The leak proof lid will ensure that water does not get inside the bin and also assists in ensuring that no odours are emitted if your bins are in a high traffic area. Your outdoor bins will ensure that your staff, students and clients aren’t tempted to drop their recyclable materials into general waste, and will help you to make the most of your waste collection program. If your office is interested in improving their office waste management inside and out, then rest assured Ecobin has an outdoor bin to suit your needs. There is the standard 240Lt Wheelie Bin, which is perfect to use in one of our unique Wheelie Bin Enclosures. The 240Lt Wheelie Bins are available in black or in the bold colours for Paper (Blue), Organic (Green), Mixed Recycling (Yellow) and Landfill (Red). 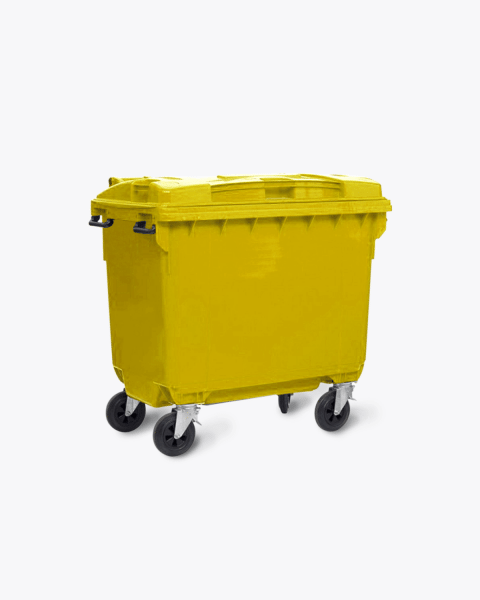 The Wheelie Bins are also available in the bold colours or black in the larger size of 660Lt. These larger wheelie bins ensure compatibility with collection vehicles to allow for efficient implementation into current waste and recycling systems. 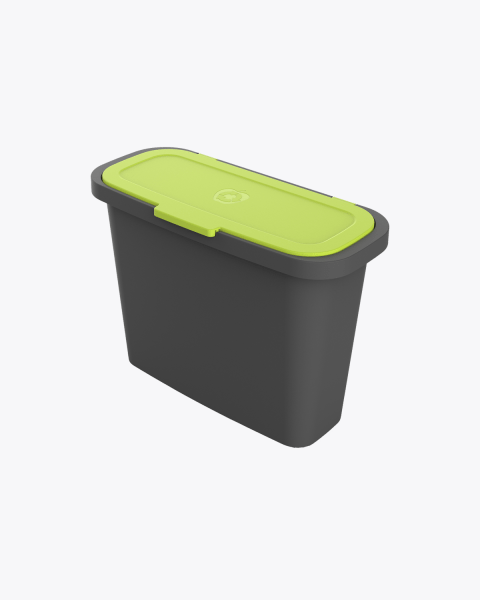 Ecobin also offers bench top food waste bins in 7Lt and 9Lt options, an easy and handy way to collect your waste scraps in the home or office kitchen. 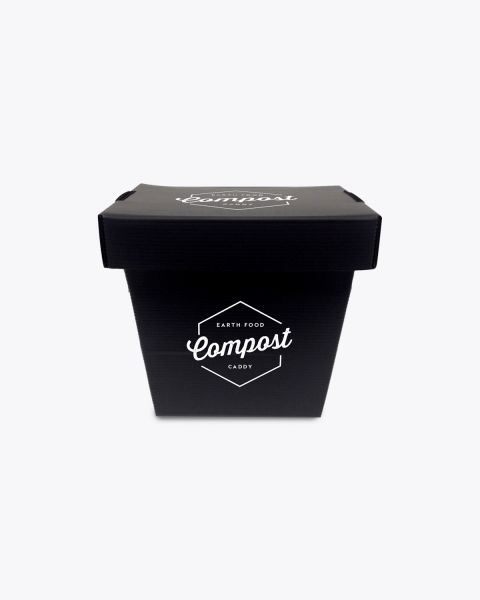 Once full, empty them into your 160Lt or 300Lt outdoor Garden Composter, perfect for placing in a corner of the garden and diverting food waste from landfil. 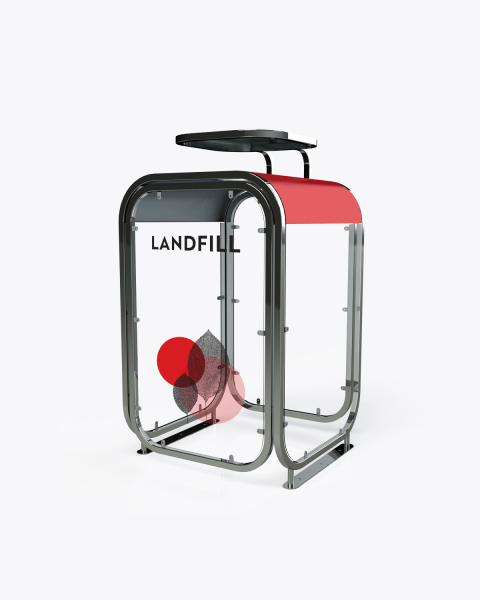 The outdoor range of Wheelie bins are available in a range of colours, Paper (Blue), Organic (Green), Mixed Recycling (Yellow) and Landfill (Red) are sure to add a pop of colour to your office outdoor waste stations. If you would prefer to stick to a simpler colour palate our Wheelie Bins are also available in plain black. A key feature in our outdoor range of bins are the beautiful Wheelie Bin Enclosures. They come in a range of styles, colours and designs to enhance your outdoor waste management system and also to help people to clearly understand what should be placed into each bin. The enclosures can also be personalised to your company’s requirements, such as logo or community message, we offer an in-house design service. Our range of outdoor bins are Australian made from up to 40% of recycled materials. They are made of high-quality and water-resistant materials designed to be durable and washable so that you can get as much use out of them as possible. The leak proof lid ensures that no odours escape from the closed bin, and that no water gets inside. Our range of products are tough and designed for reuse, but even good things come to an end. Conscious of the impact we have on the Earth during every stage of their life, we make sure all our products are fully recyclable at the end of their use.